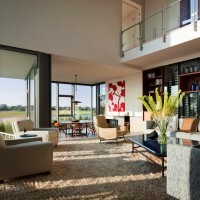 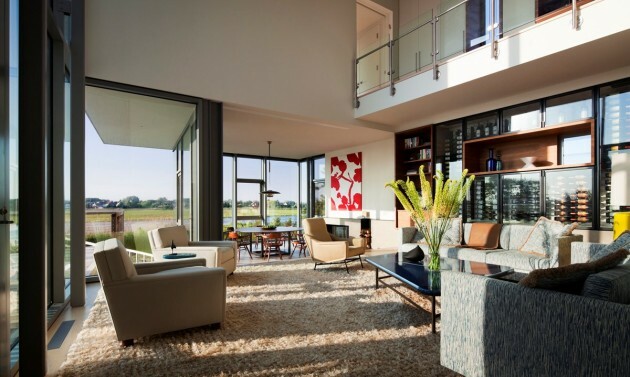 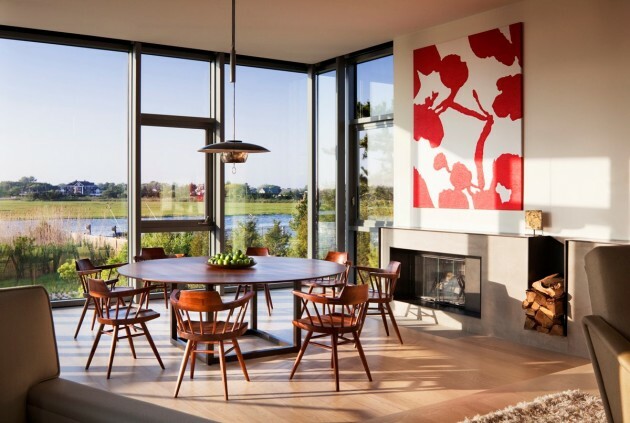 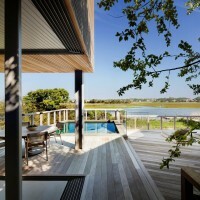 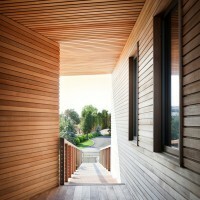 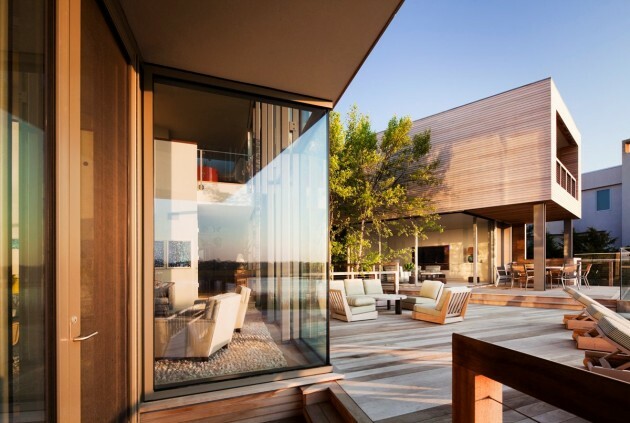 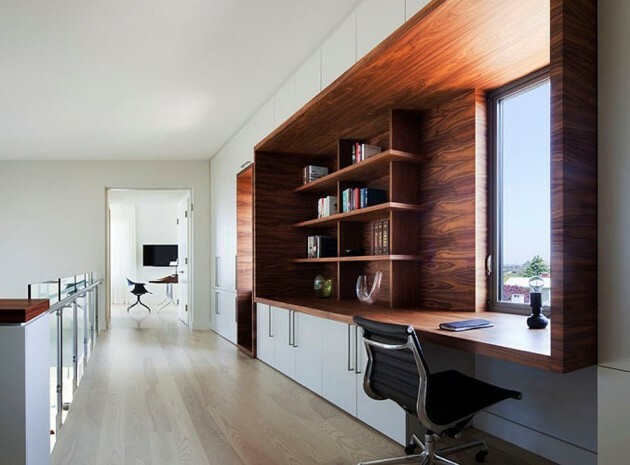 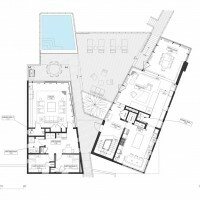 Leroy Street Studio designed the Bay House in Westhampton Beach, New York. 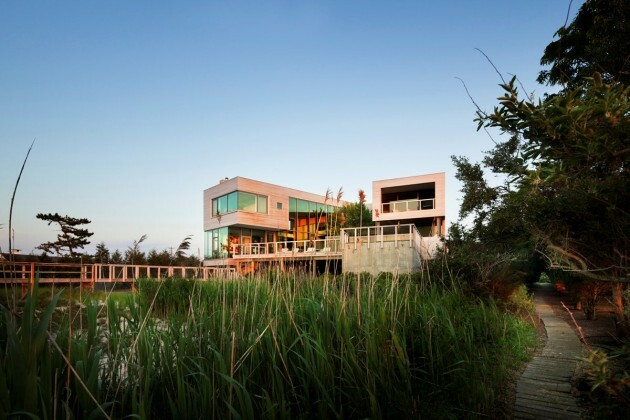 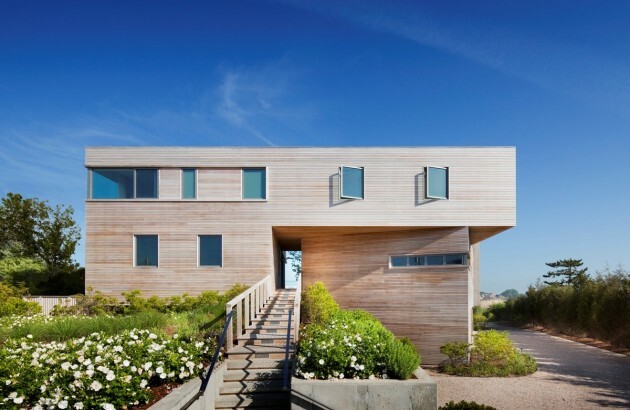 Situated in a flood plain on the barrier island off of Long Island, this house is elevated on piles, allowing the beach landscape to run through the site. 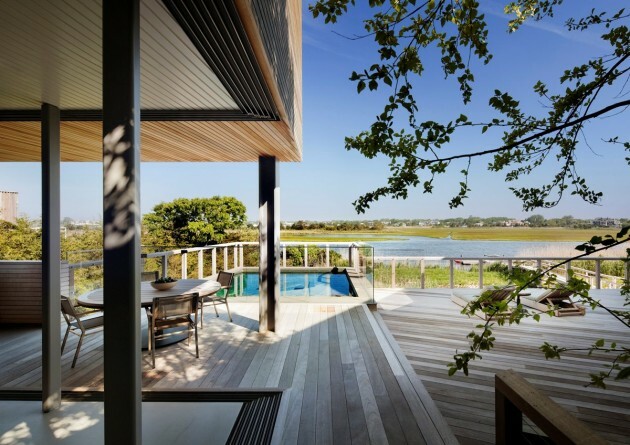 A wood boardwalk, running the length of the site from the entry road out to the rear yard boat dock, splits the house, providing dramatic views of the bay and marsh grasses. 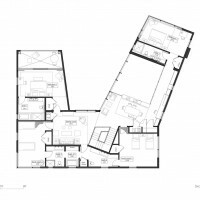 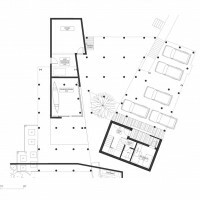 The house’s massing is a composition of solid and void, with solid walls to the ground and others on piles left exposed.